Port Moresby, PNG, 7 July 2018 -- 31 participants gathered for the Annual Retreat, 1st to 7th July, 2018, at the Emmaus Conference Centre, Port Moresby. The group was joined by six Salesian sisters. The Retreat dwelt on the Salesian Identity and the different aspects that are necessary to live ones Salesian Life. Fr. 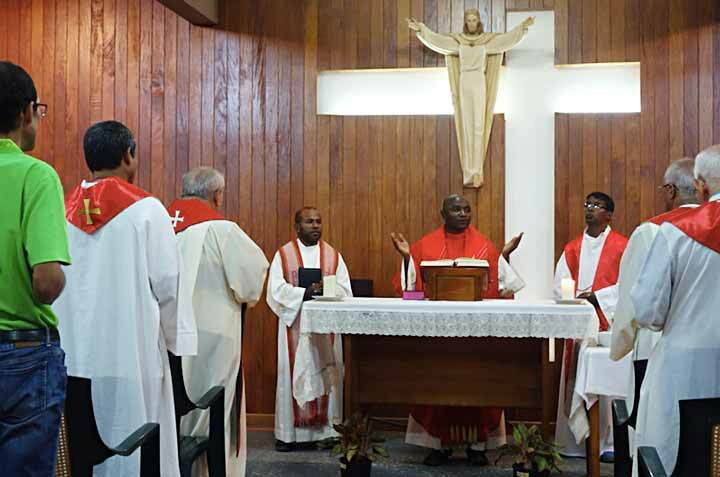 Thomas Anchukandam, SDB, from the Salesian Historical Institute, Rome, was our preacher. We are grateful to him for availing his time to share with us his spiritual wisdom and insight. “Every year we have annual retreat, but each year comes with its blessings. I appreciated the ambiance of silence the confreres created. This had fostered indeed an environment of prayer. The time table allowed us enough time for personal prayer”, said Fr Paluku. “It’s a time of grace, conversion and renewal. Fr. Thomas was able to confirm the identity and clarity of an authentic Salesian. He has challenged us to be signs of God’s Love to those to whom we are sent”, said Fr. Joseph Thanh. What has touched us most in the talks of Fr. Thomas, was how he brought us through different phases and understanding of our Salesian life. 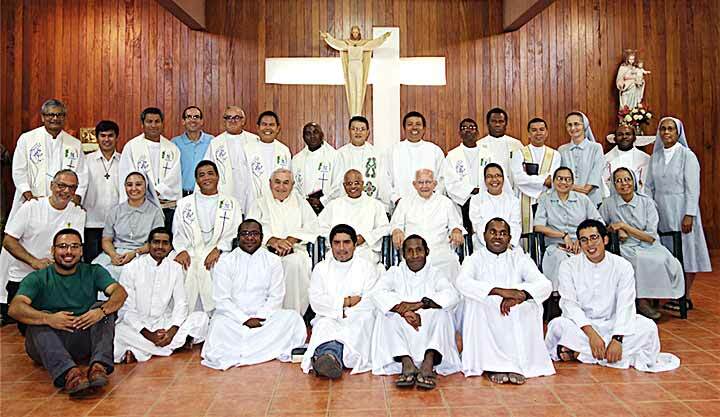 At every session, concrete examples of our own Salesians known to most of us motivated us. 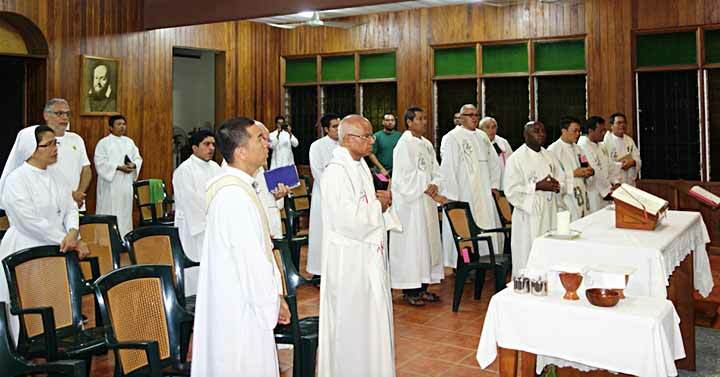 We are thus encouraged to truly live our Salesian vocation and reach the high standard of Christian life. One of the many points that captured my attention was the model he gave of Jesus; the way Don Bosco handled the human situations and our salvific mission. Being in the midst of the people, and youth we need to be truly authentic as Salesians. He has challenged us to make a difference. We need to look at our Salesian identity in a faith perspective and discover within ourselves our Salesian spirituality. The devotion to the Eucharist, to Mary and being docile to the Holy Spirit even when things do not go our way is what will keep us faithful to our charism. “On my part, the challenge is mine, going down from this mountain of prayer to live with young people, to feed and edify them”, reflection Fr. Paluku.